Another day, another presidential remark on climate science so divorced from reality it’s numbing. Nearly two weeks ago, President Donald Trump said “raking and cleaning and doing things” would have prevented the deadliest wildfire in California history, and bizarrely credited Finland with the idea ― something the Nordic country denied. But the president’s interview with The Washington Post, published Tuesday evening, dialed the denialism up to a new level. “One of the problems that a lot of people like myself ― we have very high levels of intelligence, but we’re not necessarily such believers. You look at our air and our water, and it’s right now at a record clean,” Trump said, appearing to conflate particulate matter with climate-warming pollution. He went on to declare “the oceans are very small” and blame the continent of Asia for litter on American beaches, and even circled back to the raking comment. Steam pours out of a smokestack at the Morgantown Generating Station, a coal- and oil-burning power plant in Newburg, Maryland. 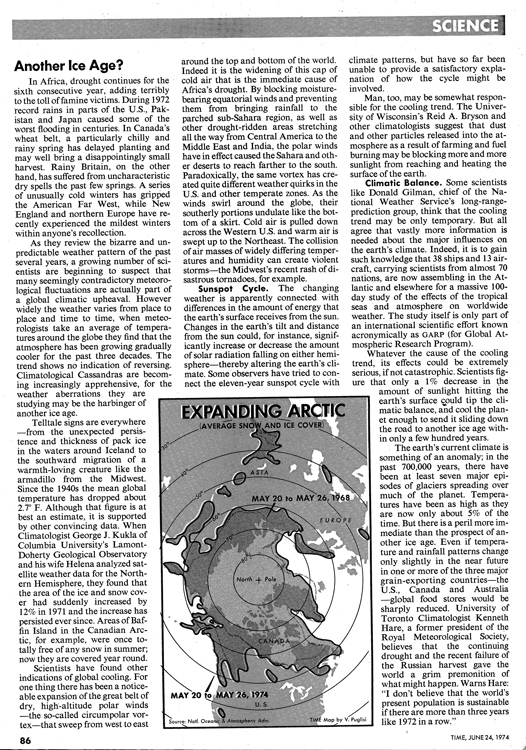 He brought up “articles” from the 1970s ― likely referring to pieces from Time magazine and Newsweek ― that made the now obviously incorrect case that the planet was headed into another ice age. “If you go back and if you look at articles, they talked about global freezing, they talked about at some point the planets could have freeze to death, then it’s going to die of heat exhaustion,” he said. We asked climate scientists to respond. Mann is a climate scientist and co-author of the book The Madhouse Effect: How Climate Change Denial Is Threatening Our Planet, Destroying Our Politics, and Driving Us Crazy. It’s almost satire. Everything our president says is foolish nonsense and it constitutes malicious ignorance. Because what he said about climate change is as idiotic as if he had said the above statement. He might as well be a flat-earther. It might even be amusing were it not for the fact that his use of the bully pulpit to promote denialist propaganda endangers human civilization. We can only hope at this point that his days in office are numbered now. Shepherd is the director of the University of Georgia’s atmospheric program and a former president of the American Meteorological Society. Science doesn’t care what we believe. If you are in the top of building and fall, gravity is still a thing whether you believe in it or not. Titley is a climate scientist at Penn State and a retired Navy rear admiral. I find this to be not only frustrating but very sad. It’s like talking to a friend about a car and you think you’re going to talk about the engine and its mileage. But when you ask him about that he talks about the color, or the options or how comfortable the seat is. I’m very happy the president professes to be concerned about air pollution he can see and the plastics in the ocean. I hope he can understand that the pollution we can’t see — in the form of greenhouse gasses — poses an even bigger threat to our people, our economy and our personal and national security. The basic science is actually very simple and has been well known for over a century. Majkut is a climate scientist and the director of climate policy at the libertarian think tank Niskanen Center. Hoo boy. These comments have kicked off an inappropriately long debate at NC about whether or not oceans are small. No person, no matter how intelligent, is going to see or experience the pervasive changes to the climate that are being brought on by industrial emissions. That is why we have scientific assessments like the [National Climate Assessment] and an army of scientists out there taking data and trying to understand the scope of this issue. What they find is discomforting at best and alarming at worst. You don’t have to believe the worst-case scenario is a sure bet to take it seriously, but we shouldn’t stake ourselves on the idea that it will all work out.